This week's a Sketch Challenge! Use any color, any stamps...but use this Sketch as inspiration! 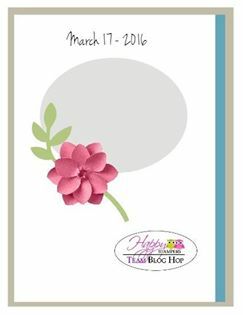 Today, I'm featuring the Botanical Gardens Designer Series Paper and the Butterfly Basics Framelits Collection and using the same color combo as last week! So you can see how you can create many cards form the same supply source! 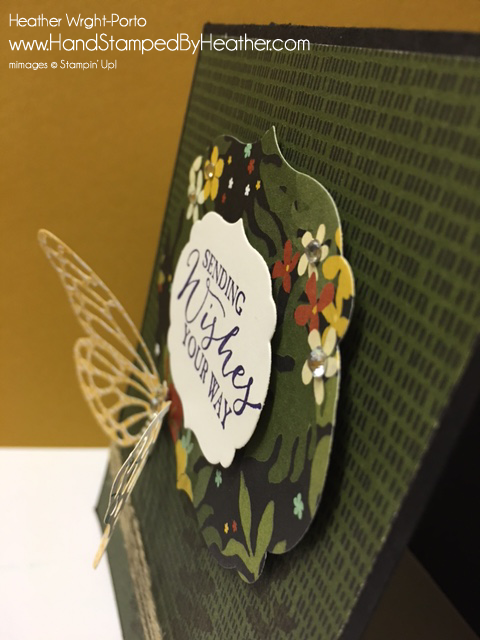 Switching it up: I also am using a Butterfly instead of a flower and using the Labels Framelit instead of an Oval. Adhere a piece of Botanical Designer Series Paper to the front. Wrap Linen Thread around the bottom. Using the extra piece of Labels Framelits from last week's card, I made it a little smaller using the next lower level of Labels Framelit, and then another one in white for the greeting. Adhered both layers using Stampin' Dimenionals to give it depth. 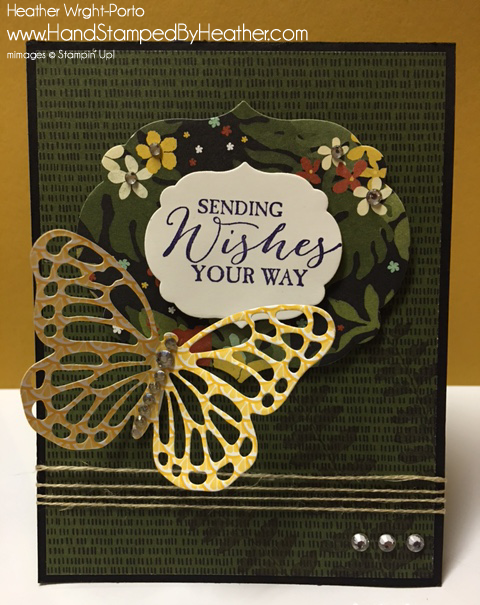 Used the Butterfly Basics Framelit for the medium butterfly in another piece of Designer Series Paper and adhered using Stampin' Dimensionals. Add all the bling you want! Here's a snap shot of Random Videos selected from our collection of over 500 videos! Love the butterfly against the Botanical DSP. Stunning! love your paper choice, it really makes a bold beautiful statment. A very dramatic card Heather. Wow Heather...you really are having fun aren't you!! Good dramatic colours and love how the butterfly finishes it all beautifully.